In this article, we take a detailed look at white powdery mildew; what it is, how it affects your plants, how to eliminate it and prevent it from happening again in the future. White powdery mildew is a common plant disease that has the potential to wreak havoc on cannabis, leading to reduced yields and possibly even dead plants altogether. But don’t worry, in this article we take an in-depth look at white powdery mildew; what it is, how to spot it, and how to eliminate/prevent it in the future. Happy growing! WHAT IS WHITE POWDERY MILDEW? White powdery mildew is a fungal disease that can affect a diverse array of plants, including cannabis. It is caused by a variety of fungal species, each of which can only target a handful of hosts. White powdery mildew is easy to spot on plants as it builds up as (you guessed it) a fine white powder. It is particularly easy to spot on cannabis plants as its white colour strongly contrasts with the dark green hue of the plant’s leaves. Powdery mildew usually targets young leaves, where it first deposits blister-like areas that cause the leaves to curl upwards. Eventually, the leaves become covered in a white, sometimes slightly grey-ish powder. Mature leaves usually aren’t affected by this disease. 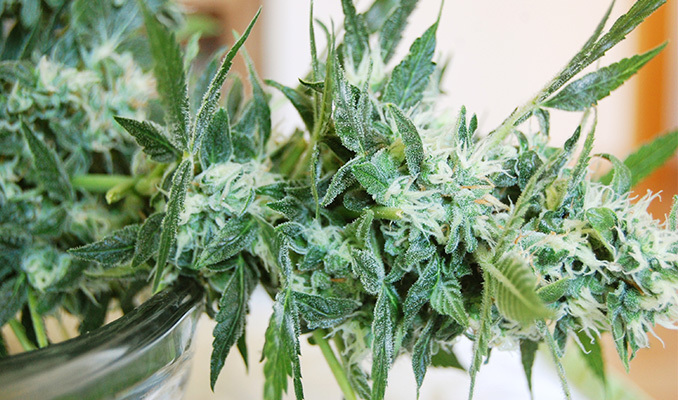 White powdery mildew can also affect other parts of the cannabis plant, including the flowers. The fungal spores can hide out within parts of the plant throughout the winter and are easily spread to new plants through wind, water, and other living things. If left unattended, white powdery mildew can have devastating effects on your plants. The mildew slowly eats away at plant matter, stunting growth and development. This ultimately results in weaker plants, lower yields and, in some cases, the death of the plant entirely. WHAT CAUSES WHITE POWDERY MILDEW? - High humidity: White powdery mildew loves moisture, usually attacking plants growing in low-moisture soils, yet humid conditions. This means young cannabis seedlings are especially susceptible to the disease, although growers can easily prevent it by making sure their seedlings are in an area with plenty of air circulation. Alternatively, you may want to use a dehumidifier, especially if you live (or grow) in a particularly humid area. - Low airflow: A grow environment with high humidity levels and a lack of airflow is the ideal space for white powdery mildew. Hence, always make sure you use a fan to keep air flowing evenly and freely throughout your grow space. 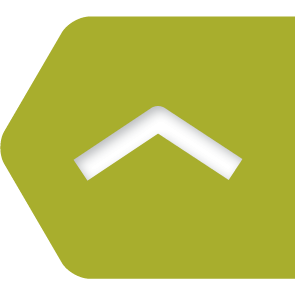 - Poor ventilation: Poor ventilation allows old air to build up around your grow environment. This also gives white powdery mildew spores a better chance at landing on your plants and reproducing. This usually happens in really tight, poorly ventilated indoor grow spaces, like closets or broom cupboards. - Leaf-to-leaf contact: Leaf-to-leaf contact is another major cause of white powdery mildew. Plants that are bunched closely together allow humidity and stale air to build up. And, as we saw above, those are conditions you really want to avoid. Remember that the above conditions usually don’t cause white powdery mildew on their own. Instead, it often results from the combination of a number of these conditions (mainly humidity and poor airflow/ventilation) for mildew spores to land and reproduce on your plants. While white powdery mildew is a serious condition that can have devastating effects on your plants’ health and development, it can also be dealt with relatively easily. Here are simple step-by-step instructions to help eliminate white powdery mildew on your cannabis plants. 1. Wipe the mildew from the affected leaves: Using paper towels or a sponge and cold tap water, gently wipe down the affected parts of your plant. Whatever you use to wipe down your leaves, make sure it is moist in order to catch as many of the fungal spores as possible, rather than releasing them into the air. 2. Prune dead foliage: If the mildew on your plants has been around for a while, you may notice that it has already killed of some of your leaves (dead leaves are usually yellow and dry). Make sure to prune any dead foliage. This will help the plant direct its energy to other areas and simultaneously give your plants a bit more breathing room. Remember to discard any dead foliage away from other plants to avoid spreading the mildew. 3. Cover your soil: Once your plants are clean and pruned, use some organic compost to cover the top layer of soil. This will help prevent any spores on the ground from splashing back up onto the leaves in the future. 4. Treat your plants: Treating your plants is pretty simple, especially when using organic fungicides like SM90, Green Cure, SERENADE Garden, SNS 244, or Zero Tolerance Herbal Fungicide. Simply mix the fungicide of your choice with water as per the packet instructions and mist your plants using a mister. Make sure you coat the plants evenly, spraying the fungicide on all leaves. Should you want to avoid using a fungicide, consider some of the following alternatives: milk (1:9 ratio of milk to water); baking soda (2 tablespoons per gallon of water). Essential and horticultural oils are becoming increasingly popular as a way to control and prevent pests and disease. Neem oil is arguably one of the most common essential oils used on cannabis and other plants, but there are others out there as well. You may want to try eucalyptus, rosemary, lemon, and cinnamon oils. Simply mix them with water and apply them to your plants with a mister, just like you would a regular fungicide. Try not to get oils directly on your buds as they may alter the aroma. Once you’ve eliminated white powdery mildew from your plants as per the above instructions, it’s important you get to the bottom of what caused the disease in the first place. Remember, the 3 principal causes of white powdery mildew are high humidity levels, poor ventilation, and poor air circulation. Hence, you’ll want to address these issues first. Next, address the air circulation and ventilation. The best way to ensure your plants get the right ventilation/airflow is by using both a fan and a ventilation system together. Check out our other grow articles for more precise details on how to improve airflow and ventilation in your grow space. Finally, you’ll want to regularly prune your plants. This will help avoid leaf-to-leaf contact and also give each plant a bit more breathing room. This is especially important in large or tight indoor operations. So, there you have it; a complete overview of white powdery mildew, what it is, and how to eliminate/prevent it from attacking your cannabis plants. For more articles like this, remember to follow our blog. 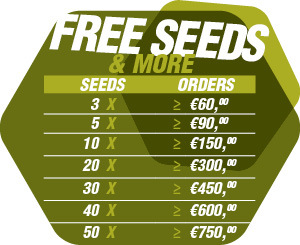 To get top-shelf cannabis seeds delivered to your door, browse our seed catalogue today.